Denne model er 175 cm og bruger en størrelse S. Brystet måler 86 cm og taljen 64 cm. 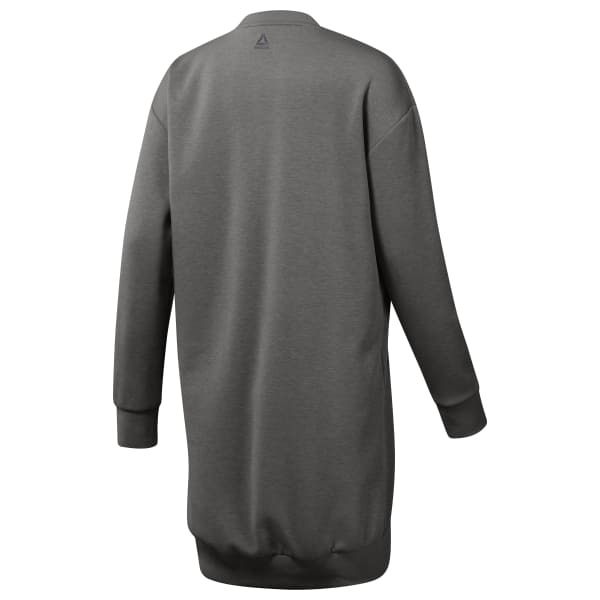 The oversize shape of this women's sweatshirt makes this an easy go-to layer. Made of cozy doubleknit with LES MILLS embroidery across the chest, the casual pullover has ribbed details for a comfortable feel. A droptail hem provides added coverage.